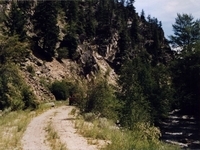 Once you have climbed the Jura (or Belfort) Loops and got up into the valley above, the Kettle Valley Railway follows the valley all the way to Summerland. For most of the journey, the valley is very wide and deep. As you get closer to Summerland, the valley narrows considerably and finally turns into a narrow Canyon at Crump. 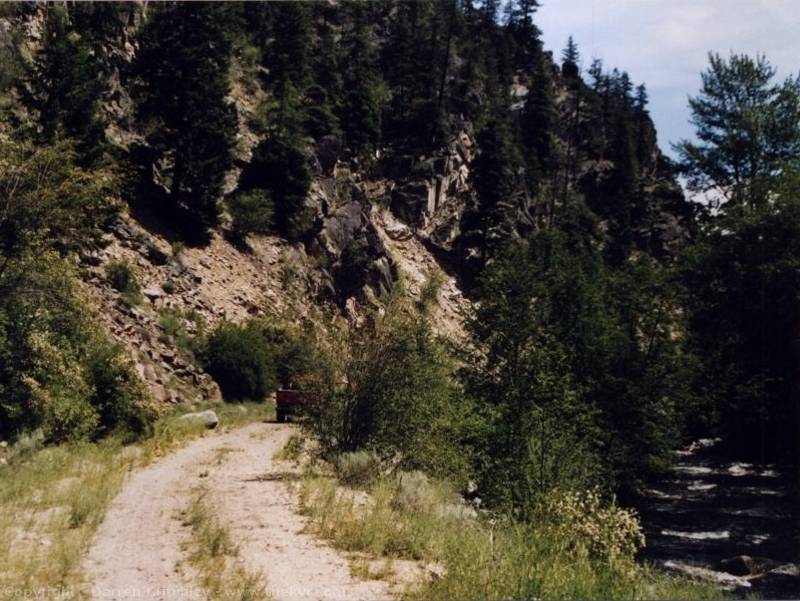 Once you go through the narrow section, it then widens out again at Faulder, where you are now into the Okanagan Valley. There used to be a nice general store at Faulder, I remember on one of my KVR journeys that we stopped there for refreshments. Last time I was through there, the old general store was all boarded up. Not far past here, the rails start for the Kettle Valley Steam Train.